D.A.R.E. (Day of Action, Resistance and Empowerment) Coalition, April 4. This April 15 could be the largest united protest of fast food workers ever. Fast food workers, who have been in the forefront of the struggle for $15 an hour and a union, will be joined by low-wage workers in at least half a dozen industries, including carwash, child care and airport workers; adjunct professors; home care providers; and especially workers in low-wage sweatshops like Walmart and other big box retailers. These workers will be joined by students planning walkouts at campuses across the country as well as participants of the Black Lives Matter movement. The April 15 mass job actions, protests and marches are likely to reveal something that everyone who dreams of the working class rising against super-exploitation and capitalism has not seen on a level since the 1930s. This low-wage workers’ movement that began with a relatively small number of workers staging walkouts a few years ago is evolving into what it must become in order to advance the entire working class. That is nothing less than a full-scale, uncontrollable uprising of all workers and their allies transcending industries, unions and geography. What is now clear is that while the symbolic and limited low-wage worker protests of recent years helped to make the epidemic of low wages a prominent issue and wrestled some very modest gains, such a curtailed struggle, no matter how heroic, could never succeed in forcing major concessions from mega-corporate, low-wage employers like McDonald’s and Walmart, especially in this high-tech, low – wage, globalized, finance-driven, permanent-crisis phase of capitalism. The vast restructuring of global capitalism and the global working class, which is still underway — despite the fact that the restructuring is already several generations old — has radically altered the relationship of forces between the working class and capital. The most important change is that limited and localized workers’ struggles, while necessary and inevitable, must be transformed into generalized working-class rebellions — free of the political and ideological, organizational and conceptual boundaries that have long constrained the working-class movement. The leadership of the labor unions that have been in the forefront of the low-wage workers’ protest has thus far played a contradictory role in the development of this struggle. On one hand, the organization of low-wage workers would not be possible at this stage without the resources that labor unions like the Service Employees, Food and Commercial Workers or UNITE HERE have contributed to this fight. We commend them for this. However, labor union leaders also bring their conservative, overcontrolling and narrow culture to this struggle as well. This culture is the product of a long, long period of political and ideological stagnation in much of the working-class movement. The good news is that pressure from the workers, along with the growing realization that a limited struggle is not enough, is slowly, unevenly, but surely breaking the chains that have held this struggle back. There are more and more examples of this workers’ liberation process every day. In New York City, hundreds of low-wage workers were joined by a large contingent of hard-hat construction workers in an April 4 march for $15 and a union. In Oakland, Calif., community groups were encouraged to select a neighborhood fast food restaurant to help shutdown on April 15. At the New York City press conference announcing the April 15 protest, low-wage workers ended by chanting “Black lives matter,” connecting these two vital struggles. The organized labor movement can learn a great deal from the example of the Black Lives Matter uprising of the past six months. For one thing, the massive protests that took place after grand juries failed to indict the police murderers of Michael Brown in Ferguson, Mo., and Eric Garner in New York City were not tightly controlled and organized in a way that discouraged mass participation. The Black Lives Matter protests were to a large extent uninhibited, militant and liberating manifestations that encouraged mass participation. They also employed tactics that went beyond the bounds of so-called capitalist legality. These protests, many of which went on day after day, occupied highways, bridges, buildings and streets. It was the liberating character of the Black Lives Matter uprising that made them compelling and highly effective. In December, a national protest against police violence fell on the same day that a national protest for low-wage workers was planned. Both protests were well attended, but the low-wage workers struggle was overshadowed by the protests against police brutality and murder. Imagine if these two important movements were combined instead of being separate. Indeed, low-wage workers look like the same young Black and Brown people who have become targets of the police. If a way had been found to combine the two movements even for one day, it would have most likely created even greater fear among the powers that be. 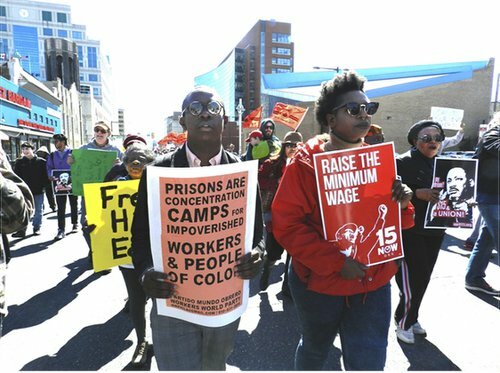 The Black Lives Matter movement is on an organic level; so is the low-wage workers struggle, and the organized labor movement should treat it as such. 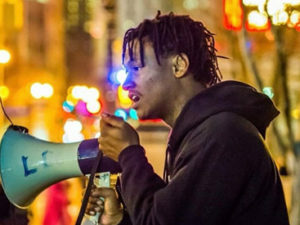 The political and economic process going on underneath the police war on Black and Brown youth, including mass incarceration, is that capitalism is destroying jobs and vital social services and replacing them with an ever-growing repressive police apparatus. What could possibly be of more concern to the working class than reversing that process? The working-class movement is going through the birth pangs of what will be — and what must be — a new phase of development for the working class. 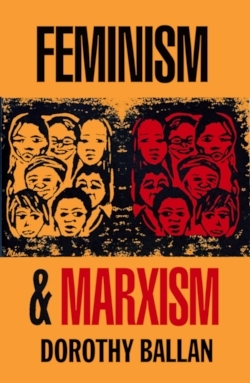 This is based on the observation of a living process of profound social transformation compelled by the changing nature of capitalism: the deepening of the current phase of the capitalist crisis and its global impact on the struggle between capital and labor. 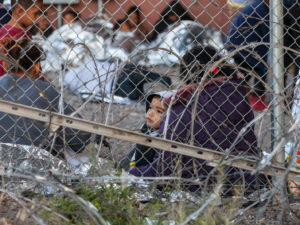 This new global, technologically advanced phase of capitalist production and reorganization of the workforce is pauperizing the entire working class, eliminating the better-paid sections of the working class, and laying the basis for the leadership of the working-class movement to be transferred to the growing ranks of low-paid, oppressed workers — Black, Brown, immigrant and especially women. In a sense it is misleading to refer to the “low-wage” workers’ movement. There may be reasons to continue doing so for a period, but the “low-wage” term tends to reduce the largest segment — and certainly the fastest growing segment — of the working class to a marginal category. This erroneous notion of the low-wage worker somehow being a mere slice of the working class still surprisingly pervades some sections of the labor movement as well as some progressive forces. These workers laboring in the fast food industry and the Walmart workers who have courageously built the OUR Walmart movement inside the world’s largest billion-dollar corporation — who have sacrificed tremendously, suffering the brunt of both reprisals and firings — are leading the way. It is necessary for the entire union movement, the unemployed, progressive social movements, all the working class and oppressed to embrace their cause, because their movement is like the Black Lives Matter movement — the future of the working class. 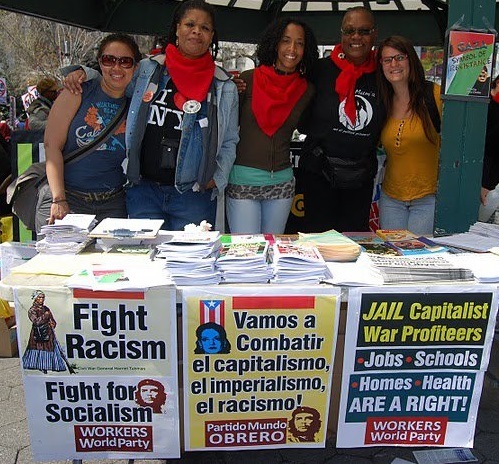 Holmes is a leader of the People’s Power Assemblies and Workers World Party first secretary.